For those Galaga arcade game fans! For all the stalwarts of Giant Galaga Assault Arcade Game & for those who are novel to the world of Galaga gaming. Bandai Namco and Raw Thrills have joined hands to render you, the all new Giant Galaga Assault Arcade Game game for rent. This game proffers new exciting & engrossing features and stages that are definitely going to make your adrenaline gush high. The fresh feel & crisp look of the game will keep you locked to the screen for a bit longer than you used to. 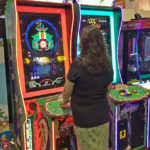 Moreover, unlike the other games Pac-man and Chomp mania that created redemption style gaming, the all new Giant Galaga Assault Arcade Game rental comes with a feature of shorter shooting experience. You need to hit 100 enemy ships. 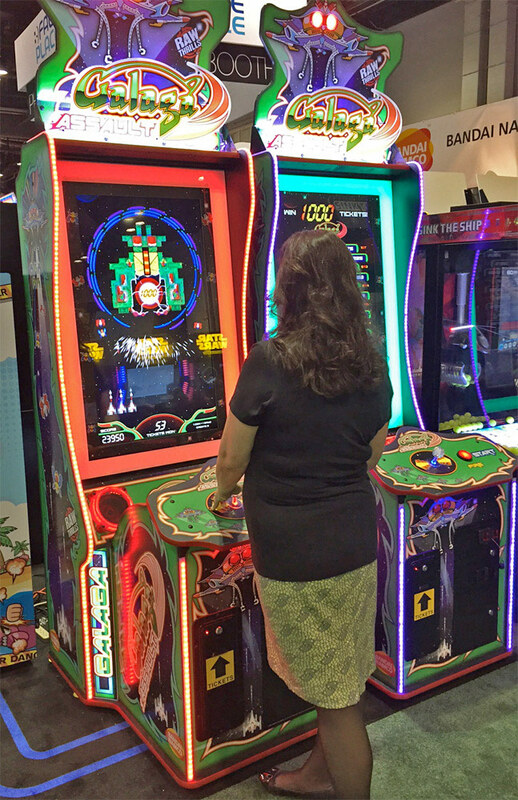 This will escalate you to another level where you will combat the mother ship for the jackpot. The new Giant Galaga Assault Arcade Game rental has introduced the feature of adding up to 12 ships. This will further increases the thrill of playing this game. 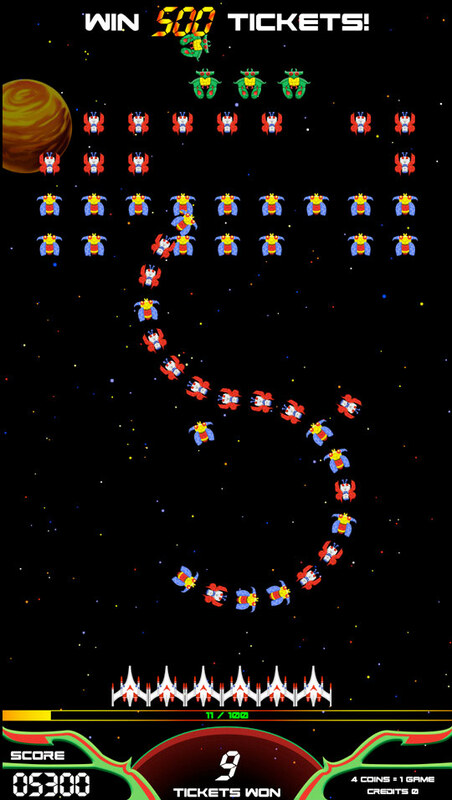 Giant Galaga Assault Arcade Game for rent is one of the most illustrious & known shooter games which and has its own audience. 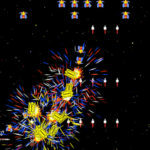 The conjoint efforts of Bandai Namco and Raw Thrills have redefined the shooting experience of Giant Galaga Assault Arcade Game. The rented arcade cabinet now comes with 42” massive LCD screen with 1080 HD view. Thus giving realistic touch to the players. 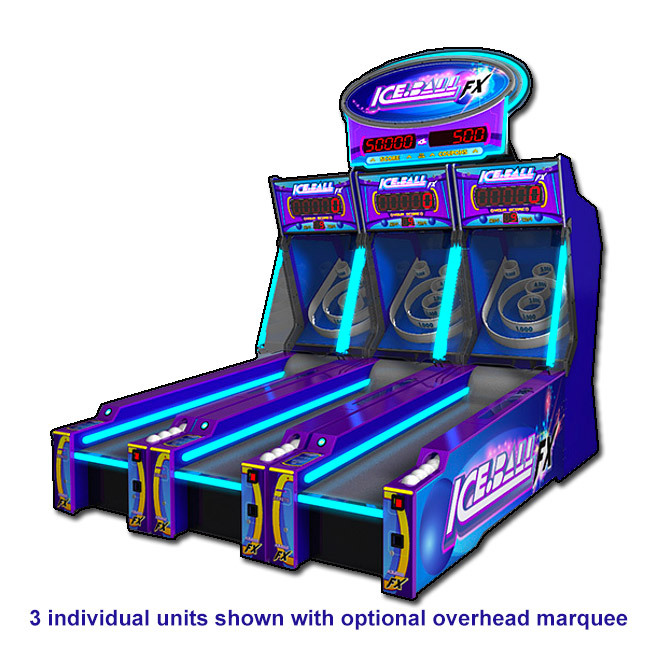 The game comes with additional features like rotating LED lights and the RCB lighted T-molding. Installed on the exterior perimeter of cabinet highly boosts the look. Furthermore, the sound system installed in the cabinet adds to the excitement level of the players. 1. Standard stage where you destroy 100 ships. 2. Mothership stage, where you reach after defeating 100 enemy ships and get a chance to destroy the mothership to win the jackpot. The developers of the game have also introduced points to ticket conversion. By buying of ships, amusement mode and QR coding. Now it’s time to tie your seat belts and load all your equipments. 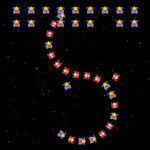 Enjoy the virtual world of shooting with Galaga Assault Arcade Game for rent. 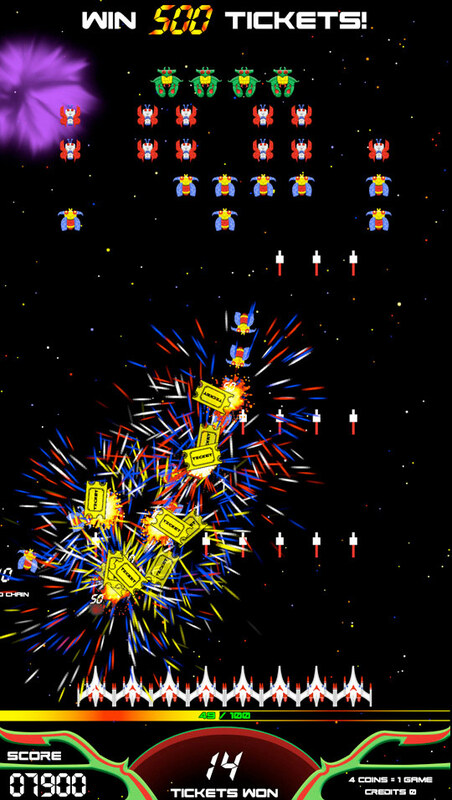 Video Amusement delivers rented Giant Galaga Assault Arcade Game in California, San Francisco, San Jose, Santa Clara, Santa Cruz, Palo Alto, Monterey, Salinas, Sacramento, Los Angeles, San Diego, Silicon Valley, East Bay, Central Coast and Bay Area cites as well Las Vegas Nevada and the entire West Coast. 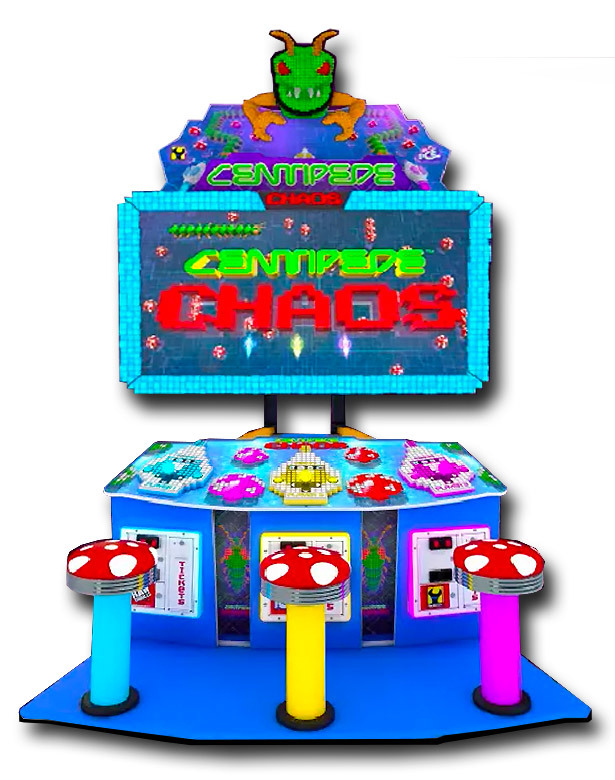 Let’s have fun and party with Giant Galaga Assault Arcade Game!